Do you have questions? We are here to support you. The SEMIKRON group online shop. 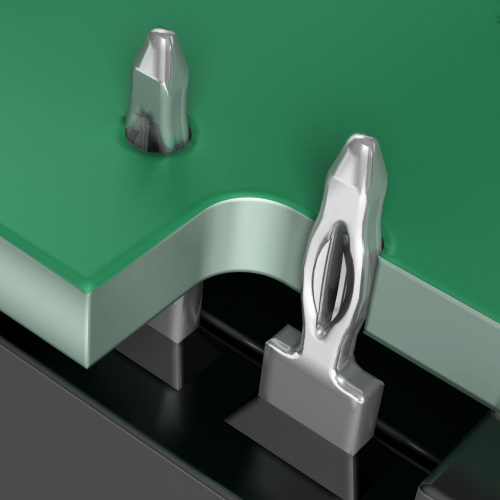 The press-fit technology utilises press-fit pins to establish the module contacts to the printed circuit board. The basic principle is the bigger latitude of the press-in zone than of the PCB hole. By the press-in process a plastic deformation of the pin results, ensuring a gas-tight contact with low-ohmic resistance. Only small insertion forces are necessary with high holding forces at the same time. 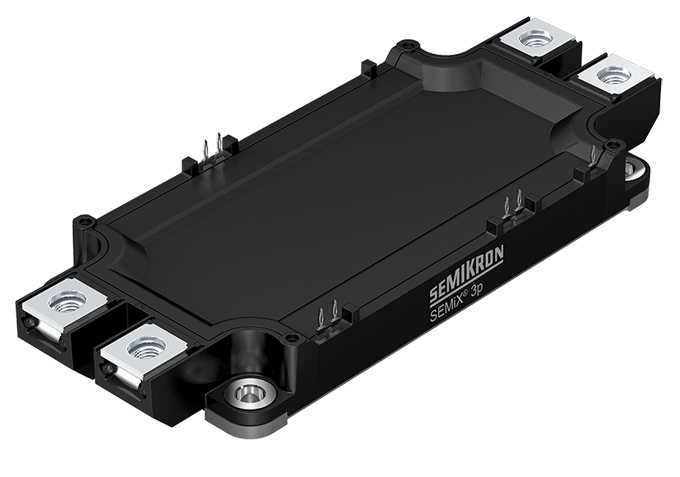 Press-fit technology ensures easy and fast mounting of the module and PCB, reducing assembly time and cost by eliminating the solder process. When the driver board is mounted, the electrical contacts are established in the same and only assembly step. Simple maintenance is also possible with these solder-free pressure contacts, as board and module can be separated easily. In a failure case, one of those parts can be used again and has not to be dumped. Though the press-fit technology is very special, the printed circuit board has not to fulfil any remarkable requirements. 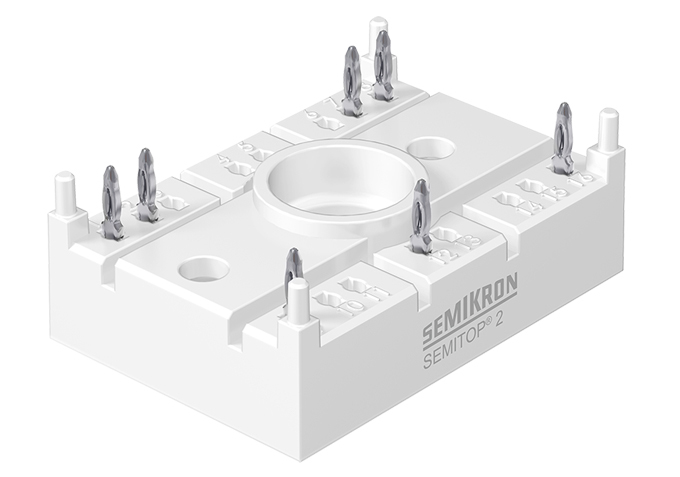 Press-fit contacts are used both as control connections as well as for power connections within the context of today's rapidly growing current-carrying capacity of printed circuit boards. 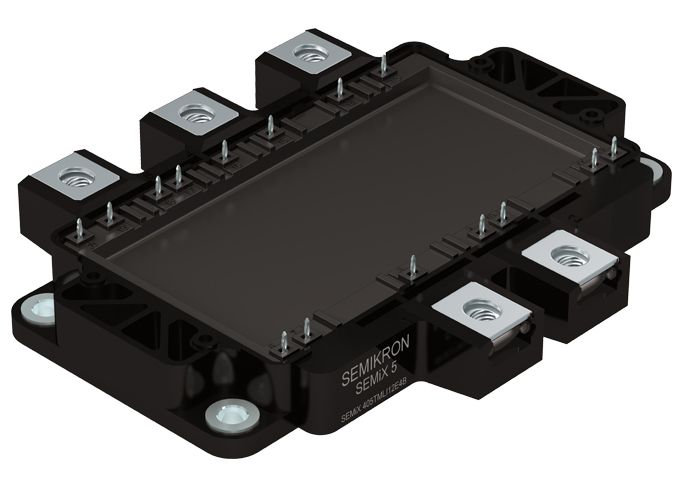 Modules in the medium power range only have them for the auxiliary signals, while low power modules also use several press-fit pins in parallel for the main connections. 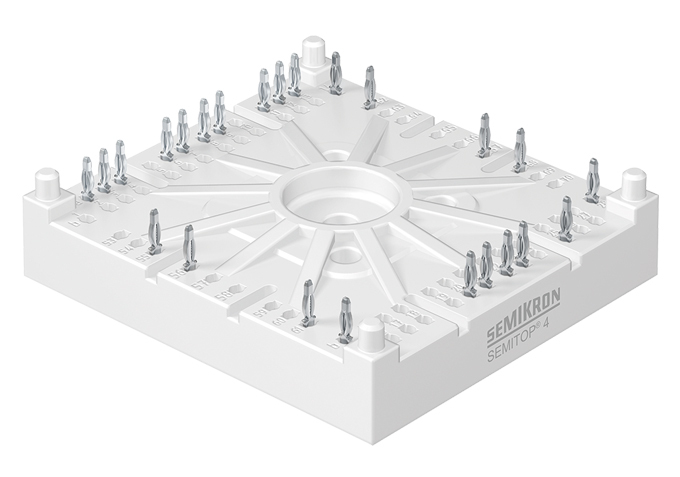 Already two of the SEMIKRON product lines make use of the press-fit technology: SEMiX & SEMITOP. 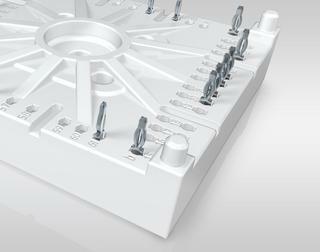 Different housing sizes within each line are equipped with eye-of-the-needle pins. 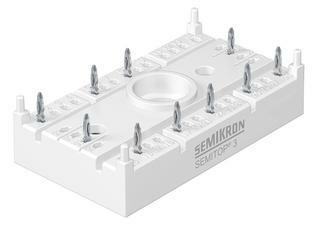 For SEMITOP it is sizes 2, 3 and 4, while SEMiX has them in the competitor compatible packages 3 and 5.